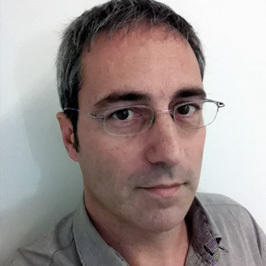 Dr. Bru Cormand, Associate Professor of Genetics since 2001, leads the Neurogenetics group at the Department of Genetics, University of Barcelona. 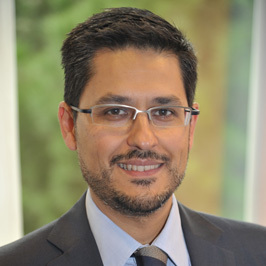 He is also a member of the Centrefor Biomedical Network Research onRare Diseases (CIBERER) and the Institute of Biomedicine of the University of Barcelona (IBUB). He works since 1992 on the genetic basis of mendelian and complex neurologic disorders, with stays in several research institutions (Medical Genetics Department, University of Helsinki; Vall d'Hebron Hospital, Barcelona; Genetics Unit, University Pompeu Fabra, Barcelona; Genetics Department, University of Barcelona). His research combines genetic, genomic and transcriptomic approaches in cells, animals and humans. He is a member of several international consortia, such as the Psychiatrics Genomics Consortium (PGC), the International MulticentreADHDGeneticsConsortium (IMAGE), the International Multicenter persistent ADHD Collaboration (IMpACT) and the International Headache Genetics Consortium (IHGC). Bru has coauthored more than 100 peer-reviewed papers in journals like Nature Genetics, Proc Natl Acad Sci USA, American Journal of Human Genetics or Molecular Psychiatry. 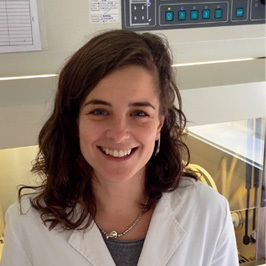 Marta Ribasés is leading the Psychiatric Genetic Unit at The Psychia try, Mental Health and Addictions Group at the Vall d'Hebron Research Institute. Her scientific activity is focused on the study of the genetic basis of different psychiatric disorders that include Attention Deficit and Hyperactivity Disorder (ADHD), Addictive Behaviors, Borderline Personality Disorders (BPD) and other impulsivity-related disorders. 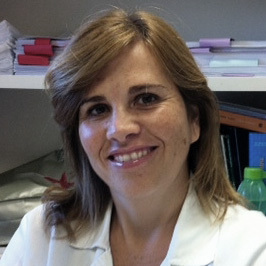 She is principal investigator of different research lines that aim to unraveling genetic risk factors for these conditions through multiple approaches that include Genome-Wide Association Studies (GWAS), candidate-gene association studies, analyses of transcriptomic profiles with microarray technology and next-generation sequencing as well as animal model approaches. 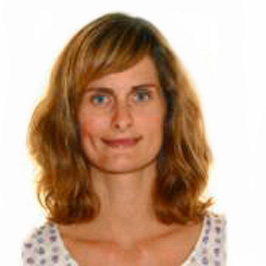 Vanesa Richarte, PhD, is psychiatrist of Department of Psychiatry at Vall d'Hebron University Hospital, Barcelona (Spain). Her focus is a psychiatric clinical care and biological bases of Attention deficit/hyperactivity disorder of adults and childhood, psychiatric comorbidity of mental disorders evaluation and treatment, and pharmacological treatment of ADHD adults, adolescents and childhood. Her research interest includes the study of ADHD across life span. 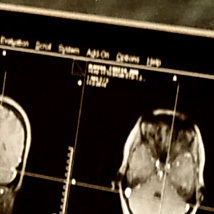 She is involved in the studies about neuroanatomy of attention deficit hyperactivity disorder trough structural and functional neuroimaging, and gene identification studies associated at this disorder. Also, participates in trials which evaluated efficacy and safety of new drugs for the treatment of this disorder, for example, extended-release guanfacine hydrochloride in children and adolescents with ADHD. 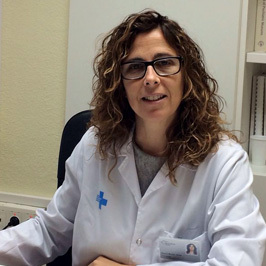 Raquel Vidal is a staff Clinical Psychologist in the ADHD Program at Hospital Universitari Vall d'Hebron. She graduated with honors in 2007 and did the Internship in Clinical Psychology at Hospital Universitari Vall d'Hebron. She is completing her Ph.D. on Clinical Psychology at Universitat Autònoma Barcelona. 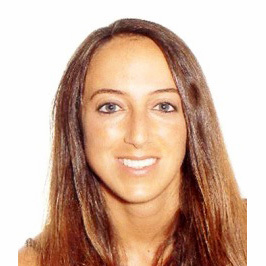 Her clinical and research work focuses on cognitive behavioral intervention in adolescents and adults with ADHD as well as group therapy in adolescents with ADHD and comorbidity with cannabis use disorders. She has publications, reviews and chapters on psychological treatment for ADHD. She is currently running a randomized clinical trial of a cognitive behavioural group therapy for adolescents and young adults with ADHD. 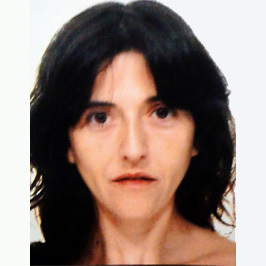 Montserrat Corrales, PhD, is psychologist of Department of Psychiatry at Vall d'Hebron University Hospital, Barcelona (Spain). Her research interest includes the st udy of ADHD across life span and childhood and adolescence conditions involved in school failure. Her focus is a Psychological evaluation and biological bases of Attention deficit/hyperactivity disorder, Neuropsychological evaluation of ADHD adults and childhood, psychiatric comorbidity of mental disorders evaluation and psychological treatment of ADHD adults.The evaluation of the symptoms and her severity of ADHD adults include some questionnaires: WURS, ADHD Rating Scale and CAARS. Comorbidity evaluation includes the administration of SCID I and SCID II interviews.Neuropsychological evaluation of ADHD adults includes administration of the following psychometric measures: Wechsler Adults Intelegence Scale, Wisconsin Card Sorting Test, California Verbal Learning Test, Trial making Test A-B and Continuous Performance Test. 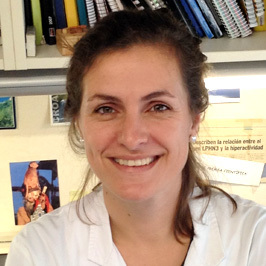 Mariana Nogueira, PhD, is psychologist of Department of Psychiatry at Vall d'Hebron University Hospital. Her main area of work consists in the study of Attention Deficit-Hyperactivity Disorder (ADHD) across de life-span, mostly in adolescence and adulthood. Her daily clinical and investigation work comprises ADHD diagnostic process, including psychological and neurophychological evaluation, personality study and comorbidities assessment. Within the study of ADHD and comorbid disorders, she has a particular interest in the study of the association between ADHD and Substance Use Disorders (SUD). Moreover, she conducted psychological therapy groups of adults with ADHD. She also collaborates clinical trials and in research projects concerning the investigation of genetic and neurobiological bases of the disorder. 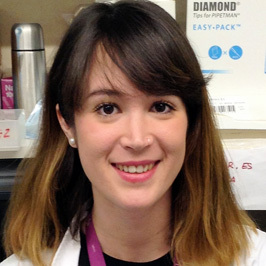 Iris Garcia is currently working as a PhD researcher in the group of Psychiatry, Mental Health and Addictions, at the Vall d'Hebron Research Institute (VHIR). 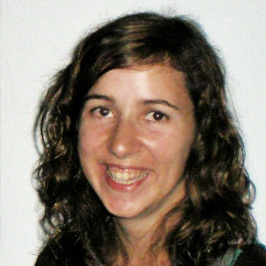 She studied Human Biology at the Pompeu Fabra University of Barcelona and obtained her master in Neuroscience from University of Barcelona.In 2013 she started her PhD project focused on the study of the potential role of miRNAs in persistent Attention-Deficit/Hyperactivity Disorder (ADHD), a complex psychiatric disease with an heterogeneous etiology that results in a wide range of phenotypes. Basically, miRNAs function as epigenetic regulators of the expression of multiple genes, either by inhibiting the mRNA translation into protein or leading to its degradation. This multiple-targeting way of acting may help to elucidate the mechanisms involved in this complex disease. Iris aims to find the link between sequence variants within regions containing miRNAs and variability at mRNA levels of target genes. Cristina Sànchez-Mora is postdoc research, since 2007 she is working at the Psychiatric Genetics Unit at the Psychiatry Mental Health and Addictions Group at The Vall d'Hebrón Research Institut in Barcelona, Spain.Her research is focused on genetic risk factors for complex diseases such as Attention deficit Hyperactivity Disorder (ADHD) and/or Substance Use Disorder (SUD) through population-based association studies, genome-wide association study (GWAS), meta-analysis and the analysis of transcriptomic profiles in lymphocytes with microarray technology. Moreover, she is involved in the identification of potential microRNA signatures as potential leucocyte biomarkers for ADHD through next generation sequencing.